At some point in a client’s journey, he or she will need to take a step back to evaluate how he or she is managing self-care. It is important for a client to be well-aware of what he or she needs to be able to maintain self-care, and to understand a hierarchy in which the needs should be managed. Sometimes, when there is not perspective on a hierarchy of needs, a client may struggle with knowing what needs to be met in order to address more pressing issues in a client’s life. 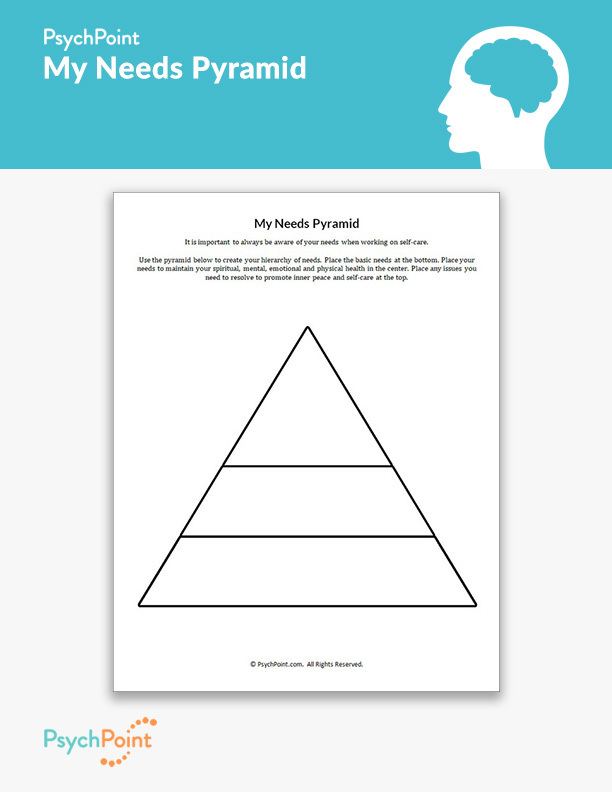 This is the My Needs Pyramid worksheet. 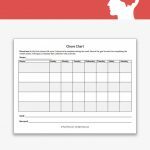 This worksheet provides a means for a client to create his or her own hierarchy of needs, and understand the difference between basic needs, wellness needs, and the needs for resolving life issues. 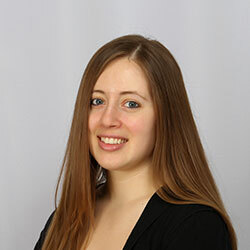 It also helps a client understand how one level of needs cannot be properly addressed and managed without a strong foundation of the more basic and long-term needs. 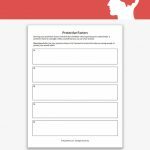 This worksheet is excellent for learning how to manage self-care and prioritizing. 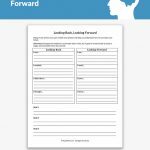 On this worksheet, instruct your client to record basic needs at the base of the pyramid (diet, exercise, scheduling, self-care, etc.). In the center of the pyramid, the client is to record his or her wellness needs (spiritual, mental, emotional and physical/medical wellness). On the top, the client will record the issues that need to be managed, resolved, or addressed to improve his or her quality of life. After the pyramid is complete, make a copy for the client to keep at home for reference. 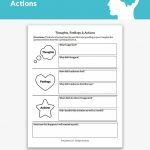 This worksheet is great for individual and group therapy sessions, along with family and couple’s counseling.